Join our crew and travel down the rapids of the pristine New River while pitching camp on remote islands! Want to experience a true river expedition? Join our crew and travel down the rapids of the pristine New River while pitching camp on remote islands! In four days, we will camp at three different sites, cover over 30 miles, and explore one of the oldest rivers in the world! 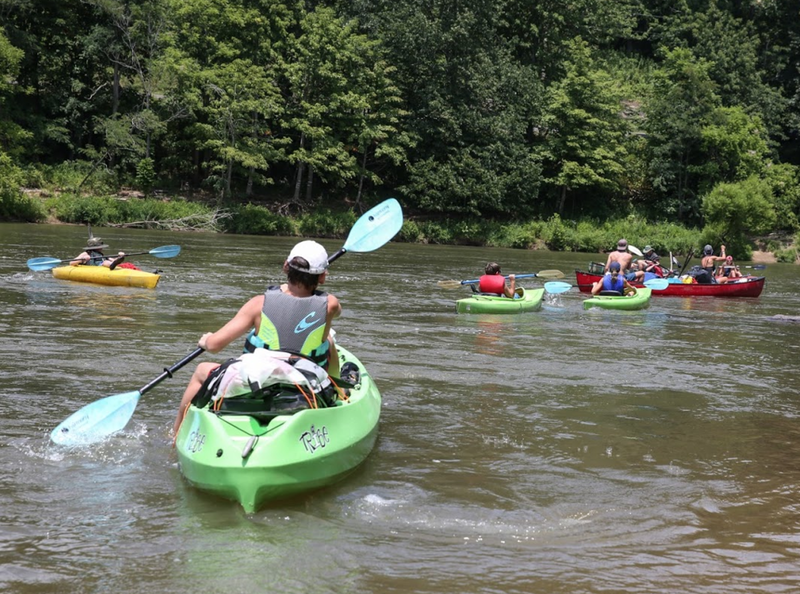 This kayak expedition is a chance to build leadership skills and learn potential life-long enriching hobbies. Each camper will paddle their own weight independently but work as a team to portage dams and strike camp. Along the way you will learn about water safety while exploring the riches of the riparian corridor. There is no grander journey than pushing off from shore in a kayak on a one-way trip to wherever the current carries you. Get ready to take a leap into an adventure of a lifetime!